Women nowadays are sentimental about their body appearance. Women with celebrity regime fascination try to have a smaller waist and the same body shape as these celebrities have. Wearing corsets have made women achieve their goal of having an hourglass figure/slim waist. Some celebrities also recommend wearing it. This classic invention has attracted a large number of women due to long-term benefits. Traditionally, waist training refers to the use of steel boned corsets to reduce waist size and create an hourglass shape. Waist trainer does not only help to sharpen your curves but also improves your posture as corset forces you to maintain a particular position. You get habitual of the posture even when you are not wearing it. Constant compression may cause discomfort in your upper rib cage at initial stages but it is only for some time, and you get used to it. We also get some before and after examples who have used these constricting garment to reduce the waistline. It has produced some amazing results. Corset training gives useful results if it is used correctly. It is a safe way to accentuate an hourglass figure. You would have come across many examples of how it has changed the women’s appearance by trimming their belly fats. We also have some examples. Women share their stories about how training their waist with corset have helped them to get the figure they have once dreamed. Here we have an example of Mellisa J who used to have the waist of 29” before corset training. She has been training her waist for almost four months; she has now achieved the goal of hang 26” waist. Corset style: The corset style she has been using is Ann Chery 2021 3 Hook Classic Latex which is made of high-quality Latex and doesn’t suffocate. This is a hook waist trainer. It is best for daily waist training, and you can also use it to recover your waistline after giving birth. Mellisa says: I did not get serious in the first place but wearing it 8 to 16 hours a day has provided me with noticeable results. With continuous compression for 8 to 16 hours a day, I also wear it while sleeping. I do not do it every night. I do it only four nights a week. It feels painful when you wear it for the first time. You may also find it difficult to breathe, but it is bearable. It is a kind of Pavlovian negative reinforcement where corset trainer works as stimuli that will make you wear it for long hours. The perfect bodies of models you watch on TV are sufficient to give you the motivation to do this especially when they openly provide credits to waist trainer for their hourglass figure. You start getting comfortable with it once you start wearing it. The results will not disappoint if you wear an appropriate size. Here is the story of another woman, Abigail S who started her waist training when she had the waist size of 36 inches. After using her corset for three months, she has now got a slimmer waist of 29 inches. It is entirely a big target she has achieved success. Corset style: The shaper she had been using is Camellias Waist Trainer Belt. It is made up of latex-free stretchy fabric. It is comfortable, and the delicate material does not irritate and helps in smooth breathing. It can also be used during exercises. Abigail says: I partner the waist training with some core strength exercises. I train my waist every day by wearing the corset throughout the day. I do not take it off even during my working hours. I wear it during exercise as well, but I do not put it on when I am sleeping. Waist training is not a weight loss pill which you expect to work the very next day you start wearing it. Waist training results may not be instant, but you start feeling the difference within one month. If you combine your waist training with core strength exercises, it comes up with terrific results. It does not take long if waist training and workout go side by side. The corset style I chose is not like latex corset. 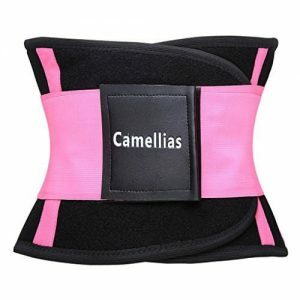 It is flexible and works as workout waist trainer which you can wear during exercises. It has also helped to improve my posture and reduced my back issues that I usually face when I am at work. Barbara. K is a girl who has a successful experience with waist training. Her waist was 32 when she decided to give it a chance. She has surprisingly reduced her waist to 26 inches that seem unbelievable. It took her only three months to get her goal of slimmer waist achieved. Corset style: The shaper she had been using is Weight Loss Belts Sports Girdle. It is flexible and durable. It is made up of latex and is spiral steel boned which is as soft as a plastic bone. Barbara says: I am a jazz teacher by profession and I wear my corset while teaching and dancing. This is something you must give a try. It is initially doubtful whether this latex made creation can give a coveted hourglass shape or not but when it starts giving results within 14 days, you got to believe it. You need to tighten your HOOK WAIST TRAINER after a few days of breaking in. You start getting easier with it. It also helps to control the diet as you cannot eat all the time with a corset on. It does not irritate me now even during my dance classes. It can be a good gym partner as well. You can wear this sports waist cincher during your workout. It takes only three months, and you are almost there. Eudora always wanted a slimmer waist as she was not satisfied with her waist of 35 inches. She desperately wanted to reduce her waistline which has increased during the birth of her baby. Furthermore, she decided to train her waist with a corset. Now she has successfully reduced her waist up to 3 inches. She was able to cut 5 inches in only two months. Corset style: the corset style she chose was Workout Body Shaper that works excellently to burn your tummy fat. Three lines of hooks make it easily adjustable as you may need to tighten it after some time of breaking in. Boning is on both front and back. They are also available with zipper. Eudora says: I am a new mom of a 2-year-old boy and I wear my shaper for more than 9 hours a day. I do not wear at night while sleeping. Postpartum waist trainers are specially designed for new moms who want to recover their body shape. Wrapping your midsection from the bottom of ribs to lower waist works and exaggerate your natural waist. I was first hesitating as it is usually heard that compression disturbs your breathing process but celebrity moms with perfect body always fascinated me and I wanted a slim waist so bad. It worked when I gave it a shot. It gets comfortable when your body starts getting in shape. Waist training was all I needed to be a mommy with perfect shape, and I do not regret my decision. Having the waist of 29 inches before starting with waist training, Jenna C has now waist of 21 inches. It is an ideal waist a woman can dream. Jenna has been using it for one year. She is another successful example who has a have-it-all body and can be the inspiration for the women who are looking for the solution to their fat bodies. Corset style: Alivila.Y Underbust Waist Training Corset is what she chose to shape her waist. 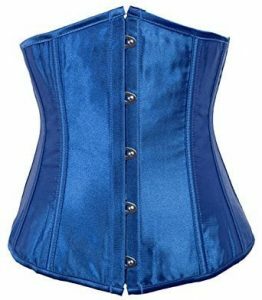 The material of this corset is a mixture of polyester and Nylon. It has two steel bars with supporting plastic bones. Women also use it as a fashion corset. It is famous for its durability. Jenna says: I am a credit control manager and used to wear it every day for the first few months. I am not so regular and wear it now and then after breaking. Waist training does not take long to make you get used to it. Once you get comfortable by wearing it on a regular basis, you can choose any convenient time to wear it. It has been a great experience with my corset. Primarily, it ‘s hard to sit during the office timing, but later it gets easy. After a few months of training, the curves start to appear. The condition for initial months is that you have to be regular. You can take a break in between. Wearing it underneath your outfit gives the desired shape if you are going to a party. What results can I expect? How long will it take for me to see the ideal results? These are the most frequently asked questions by women who are in the waist training process. Actually, it depends. To achieve perfect waist training results, you need to pay attention to your regular diets. This means that the food you eat will show up in your body while wearing a waist trainer will also limit and change your original eating habits to make you eat less and healthier. If you want to get a perfect hourglass figure through waist training, then you need to develop a fitness plan. You can add some light exercises like jogging, cycling or try out the plank (front hold ). The results of waist training depend significantly on the genetic makeup of the body. Some people have a faster metabolism than others, and they can burn fat quicker than others. Ladies, even if you have a slow metabolism, there ‘s no reason to let it get in the way of your waist training process. As long as you have the right motivation, you can achieve the same results as anyone else. The waist trainer will usually let you automatically lose the water weight by allowing you to sweat a lot. The water weight is super easy to lose and mold, so your body ‘s retention water also plays a vital role in your waist training results. If you easily get bloated and have a lot of water weight, you will see the remarkable waist training results that faster than you can imagine. Older women have the bones that are less dense and less muscle flexibility, and for younger women, their waists are more likely to be trained because their bones are more resilient compared to older women. Almost all women fascinate a perfect body and a slim waist. They go after everything television personalities tend to use to get the ideal appearance. They want to grab the entire beauty kit that a celebrity once talked about. Waist training is gaining popularity after these beautiful models have confessed to using it. We have seen Kim Kardashian talking about corsets. Women have achieved a terrific difference in their waist when out of the corset. Using it correctly is a prerequisite to getting the desired results. 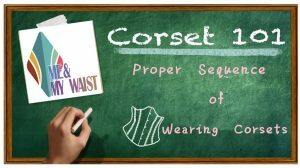 Corsets should be laced up tightly, but it should not compress your body to the level where it can cause vital organ damage. The overly restrictive shaper can also interrupt your breathing process. These dangers are the exceptions only if you do not follow the proper instruction.